"These dolls silently but eloquently tell you of the friendly feelings that the children of Japan have for the children of America." The Internet makes it easier for the Friendship Dolls to spread their message of goodwill. For example, many Japanese elementary schools feature the Blue-eyed Dolls sent from America in 1927 on their Internet home pages. Of course, different languages make it difficult for children in Japan and the US to communicate directly with each other. This web site provides some translations of information on Japanese web sites, so hopefully this will help American children better understand their Japanese friends. 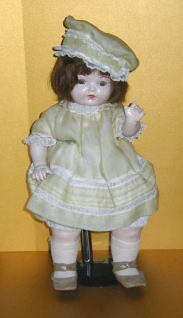 The Individual Dolls page in the American Blue-eyed Dolls section provides links to much information published by Japanese schools. "May the United States of America and Japan always stay friends." - Google provides a Key Word Search for either this web site or the entire World Wide Web. - Menus to link you to other sections of the site can be found on the left-hand side or bottom of most pages. - The Site Map lists the topics of each of the eight major sections of the web site. - If you know the author or location, the Acknowledgments page provides many links directly to the information. - If the information has been added to the site recently, you may be able to find it on the Recent Changes page. - Contact me (Bill Gordon) directly at wgordon@wesleyan.edu with your questions. If you have any material and information you would like to add to this web site, please contact me. I consider this web site to be the collaborative effort of many people. Especially welcome are children's letters, children's essays, photos, articles, and new links. Either English or Japanese is OK. The history of the Friendship Dolls has no ending. 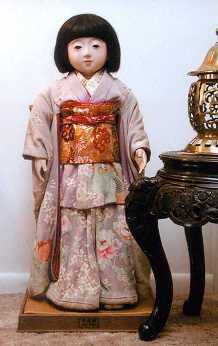 Japanese and American children continue to write the story of the Friendship Dolls. Please be a part of the story! Quotation under Miss Aomori is from Tsuneo Matsudaira, Japanese Ambassador to the United States, in a speech in Washington, D.C., on December 27, 1927. Source: Dolls of Friendship, p. 97. Quotation above Mary is an excerpt of the message attached to each of the 12,739 American dolls sent to Japan in late 1926 and early 1927. Source: "The Friendship Dolls," Look Japan, July 1995, p. 31.